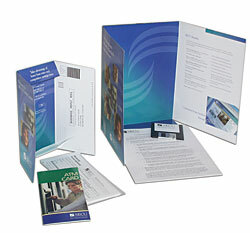 Branding strategy launches new look for existing credit union. Develop a graphic look that would be flexible enough to work across a broad range of platforms from print to web. The look had to project stability, but also touch an emotional cord in this service-driven industry. Needed to project image competitive with larger banks and portray their small personalized approach to banking. Reposition and build brand awareness with consistent marketing efforts via newspaper and billboards within communities around SECU branches. Have strong creative that reflects SECU as it truly is: a strong community focused financial institution that has highly desirable and competitive products which focuses on saving customers money. Success was evident with the launch of the campaign. Brand awareness has increased, customer understanding of SECU’s position to it’s competitors has greatly improved resulting in a back-log of in the mortgage department with refinancing. SECU has seen an increase in their customer base above their expectations. Their ROI has exceeded their goals. With this success they have committed to maintaining marketing efforts.